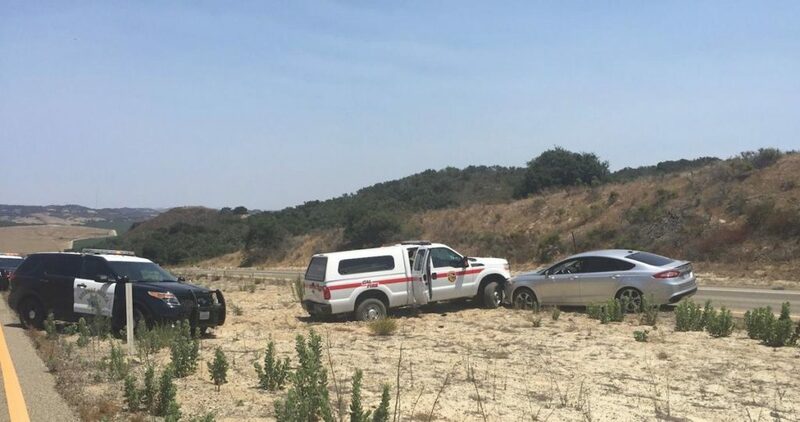 On Friday morning, Donald Schellinger, 38, allegedly broke into a Monterrey County Cal Fire station and stole a set of keys to a pick-up truck. The truck was later reported as stolen. Shortly before noon, the stolen truck was spotted in Los Alamos. Schellinger then headed south on Highway 101 reaching speeds of up to 100 mph. He left the highway and turned south towards Vandenberg Air Force Base. Shortly before 1 a.m., deputies were able to stop Schellinger as he attempted to make a U-turn on Highway 1 in a sandy, soft-centered median. Inside the vehicle, deputies discovered items stolen from Pismo Beach. Deputies booked Schellinger into the Santa Barbara County Jail on charges of felony reckless evading, possession of stolen property, vehicle theft, and a parole violation.